TNT helps Hidden Valley have a lovely Christmas! 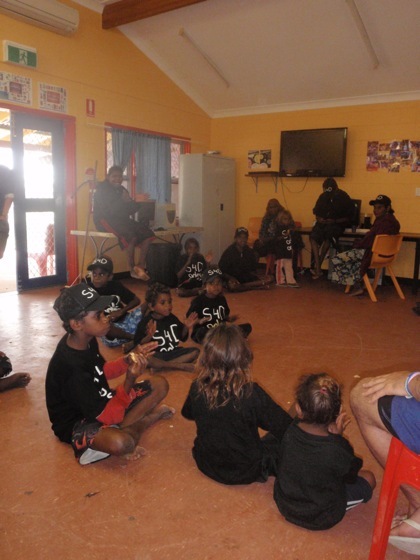 A few months ago we reported on that fact that the freight company TNT kindly sponsored the transport of the leftover S4D merchandise (hoodies, tshirts, caps) to the Hidden Valley community in Alice Springs, so they could use the merchandise to have a small fundraiser. Hidden Valley is where Rowan McNamara lives (the actor who played Samson in the movie). The funds that were raised are now being used to buy Christmas presents to the children in the community and to hire a karaoke machine for the Christmas party. And if there's anything left over they are going to buy Oxfam goats, chickens and water wells for the kids in Africa. Some Hidden Valley residents at the Community Centre enjoying their new outfits! S&D is currently being released around the United States. For details on where and when, visit the USA website. New locations being added all the time so keep checking back. Below: Rowan and Marissa outside the Kodak Theatre in LA where the Academy Awards are held and ... Marissa with Nicholas Cage at the Telluride Film Festival, Sept '09. We have a study guide for Samson & Delilah that is available to download for free through Metroscreen. The DVD is available for sale through Madman which also includes the documentary about the making of the film plus four of Warwick Thornton's short films. If you haven't seen the documentary about the making of the film, you can check it out on the second disc of the Australian DVD. Other countries will be able to see the documentary soon, as the DVD is released around the world. In the documentary, Mitjili Gibson (Nana) and her family attend the Colliding Worlds Exhibition of photographs of them when they were first found in the bush of Central Australia in the late fifties and early sixties. Many of the images and artworks included in the documentary as part of the Colliding Worlds Exhibition were authored by the late Professor Donald Thomson and form part of the Donald Thomson Collection. Scarlett Pictures would like to extend their thanks to the Thomson Family for the inclusion of several of these images and artworks in Making Samson & Delilah. S&D is about to open in The Netherlands on April 22nd. Check out the Cineart website for more details. Still showing all over the UK. S&D is being released in Croatia from 15th April. Check out their beautiful poster - originally used as the poster for the film at the Cannes Film Festival by our sales agent Elle Driver. It will screen in a program called CANNES EXPRESS along with Police Adjective, Looking for Eric and Tales From The Golden Age for one month. The program will start in Zagreb and then relocate to Rijeka, Zadar, Split and all over Croatia in smaller theatres. This is an initiative between Discovery Film and Cinestar Exhibitors in an effort to show more arthouse titles in Croatia. In cinemas in the UK now! Check out the UK site for more details. In Australian news, the script of S&D has been nominated for the NSW Premier's Literary Awards in the script category. Read the judges' comments here. 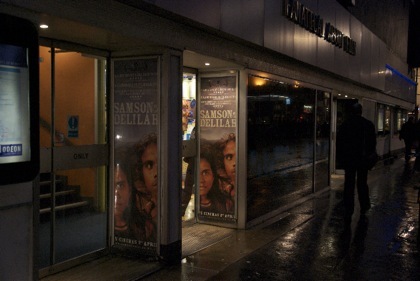 Samson & Delilah was awarded Best Film at the Dublin Film Festival by the Dublin Film Critics Circle. It will open in Ireland and the rest of the UK on April 2nd. Warwick will attend the opening night of the London Australian Film Festival on March 18th and then go on a screening tour of the UK. The film is already in cinemas in South Africa from the 26th February and will open in The Netherlands from April 22nd. It is screening at many film festivals around the world - many of which you can find listed under 'screening locations' on the left of screen. Most recently announced is the prestigious New Directors/New Films Festival in New York. The DVD double box set includes the feature film, the one-hour documentary about the making of the film and four of Warwick's short films. Bargain! Collector's item! Available at all good retailers or order online direct from Madman. Bluray version released 17th March, through Madman. The beautiful soundtrack to the film is available through ABC Shops (along with the DVD) or from any good retail store. AFI Awards: The Australian Film Institute Awards were held in Melbourne on 11/12th December and we won 8 awards (including Marissa and Rowan both winning the Young Actor Award). How proud we are of them! Asia Pacific Awards: We won Best Feature Film in a very strong field of films from all over the Asia Pacific region - about one-third of the world. Jury member Gina Kim (Republic of Korea) said: “Samson & Delilah has a very special something - the integrity of the filmmaker, the passion and the sincerity of it is really beyond comparison.” Watch Warwick's acceptance speech here. Editor Roland Gallois was awarded Best Editing (feature film) at the Australian Screen Editor's Guild Awards and sound designer Liam Egan and team were awarded Best Achievement in Sound for Film Sound Design at the Australian Screen Sound Awards. IFA Cultural Film Award: Awarded to the film at the Around The World in 14 Films - The Berlin Independent Filmfestival. Lovely trophy too. GRANDE PRÊMIO: Best film award at the Amazonas Film Festival in Brazil. In addition, the film was shortlisted for the Academy Awards in the U.S.A. in the section that celebrates Foreign Language Film. Unfortunately it didn't get a nomination, however our French distributor's film A PROPHET did get nominated and we are very proud of that. Go Why Not Productions - good luck! We were very lucky to win lots of IF Awards in Sydney this week! And don't forget to tune into ABC TV if you're in Australia this Sunday 22nd Nov at 8.30pm to watch Samson & Delilah. Then on Thursday 26th Nov at 9.30pm to watch the documentary Making Samson & Delilah. And the DVD is out on Wednesday! Folks - the time is nearly upon us in Australia - Sunday 22 Nov at 8.30pm on ABC TV is the television premiere of Samson & Delilah. The documentary goes out Thursday 26th Nov at 9.30pm and the DVD is available from Wednesday 25th Nov (check out Madman's beautiful banner at their Melbourne HQ). IF Awards on tonight - telecast tomorrow night on SBS - and then next week on 26th Nov are the Asia Pacific Screen Awards. How can we cope with so much excitement jam-packed into such a small space? Warwick was made NT Australian of the Year last night in Darwin. We have a statesman on our hands! Hope he's still got time to make films. The announcement is here. 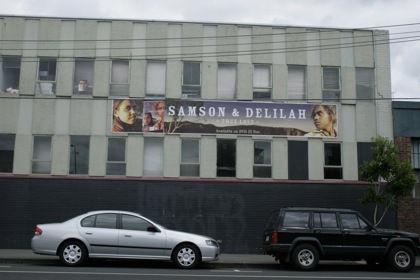 Samson & Delilah received 13 AFI (Australian Film Institute) nominations. The Award ceremony is on December 12th in Melbourne. Congratulations to Rowan and Marissa for their double nominations (best actors and best young actors). Samson & Delilah is one of five nominated films in the Best Feature Film category for the Asia-Pacific Screen Awards. This is the first time an Australian film has been nominated for Best Feature. Our friends Mary & Max are nominated for Best Animation. The ceremony is on 26th November on the Gold Coast. We received eight nominations in different categories - most excitingly Rowan and Marissa both got acting nominations. Thanks to everyone who voted. The full list is here, including a photo of Rowan at yesterday's function. And last but not least, Australia's ABC Television announced yesterday that Samson & Delilah will screen on ABC TV on Sunday 22th November at 8.30pm. The documentary Making Samson & Delilah will screen on Thursday 26th November at 9.30pm. Oh and it was producer Kath's dad's birthday yesterday - happy birthday Mr Shelper! Or wander into an ABC shop or other good music retailer. Features all the songs and original score from the movie including Charley Pride, Troy Cassar-Daly and the beautiful sounds of Mexican singer Ana Gabriel. New Zealand starts this week! The cinemas screening the film include Auckland: Rialto Newmarket, SkyCity Queen St, Bridgeway Northcote and Wellington: Penthouse Brooklyn, Lighthouse Petone. The latest exciting news is that Why Not Productions (producers of A Prophet) are releasing the film in French cinemas on November 25th. Warwick will go to France in the last week of October for press and screenings. Trinity Filmed Entertainment is releasing the film theatrically in the UK early next year. (They also have London River, starring Brenda Blethyn, which also screened in Telluride Film Festival this year and is repped by our sales agent, Elle Driver.) Stay tuned for more details there. After premiering at the Durban Film Festival in South Africa in July, the film will be released theatrically through Videovision Entertainment in South Africa early next year. They are releasing Disgrace as well and did very well out of Rabbit Proof Fence back in the day. Sales to other territories are Israel, Benelux (Belgium, Netherlands & Luxembourg), Colombia, SFR Yugoslavia, Middle East and Portugal. Warwick, Rowan, Marissa, Kath and Beck all attended the Telluride Film Festival in the Colorado Mountains of the U.S.A. where the feature and Beck's doco - Making Samson & Delilah were both screening. Both films screened to full houses and were warmly received by the enthusiastic audiences. Telluride is a beautiful town that we all fell in love with - Marissa wants to live there. Last week Warwick was presented with the Murray Forrest Award for Achievement in Film Craft at the Movie Convention on the Gold Coast. He was also awarded the Kate Challis RAKA Award for Indigenous scriptwriting in Melbourne. Darwin peeps - don't miss a special one-off screening of Making Samson & Delilah on tonight (Monday 17th August) at 7.30pm at Deckchair Cinema. Beck Cole will be in attendance to introduce the film plus screen some great new short films. "The making of a masterpiece as experienced by the two kids at its centre… Cole's picture of these two kids is as tender as Thornton's." Bill Gosden, NZ Film Festival. Read Bill's full programme notes HERE. More info about Deckchair can be found HERE. Making Samson and Delilah is Beck Cole's documentary about the making of the feature film. Beck follows the chaotic production from the beginning of casting through to the red carpet in Cannes. The film will have its world premiere at the Melbourne International Film Festival on July 29th. It's an affectionate and cheeky look at the process of making the film chiefly through the experience of Rowan and Marissa. Warwick won the Blue Angel Award for Best Director in the Feature Competition at the 17th Art Film Fest Trenčianske Teplice–Trenčín. S&D's production designer, Daran Fulham, accepted the award in Bratislava while Warwick was busy filming in Arnhem Land's Maningrida at the top of Australia. 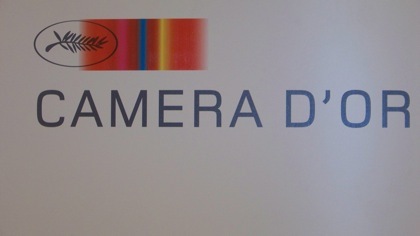 Last year's Camera d'Or winner, Hunger, won the Blue Angel for Best Film. S&D is currently screening at the Karlovy Vary Film Festival and the New Zealand Film Festival. Producer Kath will attend Auckland and Wellington screenings in the last week of July. The film has also been selected for the Durban Film Festival in South Africa, which starts at the end of July and is hosting Kath as a guest. The Toronto Film Festival will screen the film in the Discovery Section in September. Kath and Rowan (Samson) just got back from the Munich Film Festival, where the film screened in the International section. Warwick received an Awgie nomination for best original feature script. The Awards are run by the Australian Writer's Guild and will be announced in late-August in Sydney. 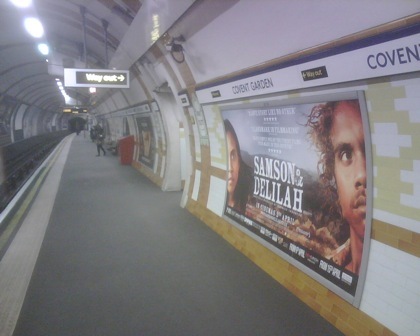 Samson & Delilah won the Camera D'Or award for best first feature film at the Cannes Film Festival in May. 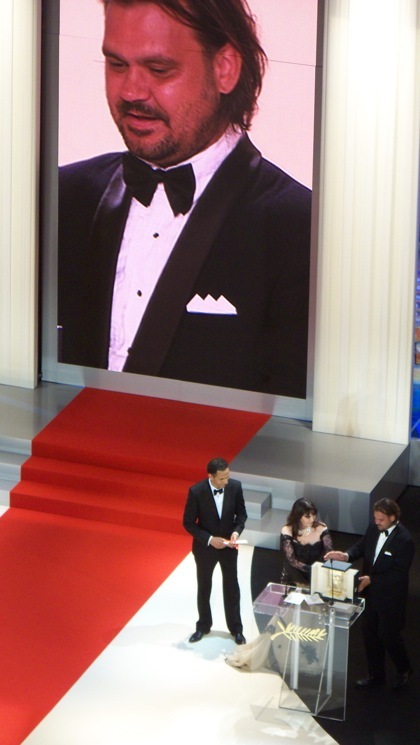 An emotional Warwick was on hand at the ceremony to collect the award from French actress Isabelle Adjani. The President of the Camera D'Or Jury, Roshdy Zem, said, "...probably the best love story that we have seen in many years. An immensely memorable film." Samson & Delilah has been chosen to screen in the Un Certain Regard Official Selection for the 62nd Cannes Film Festival. The film is one of twenty films screening in this section from May 13th to May 24th. Rowan, Marissa, Warwick, Kath and their huge entourage are all travelling over to France for the festival. Should be an eventful flight! Samson & Delilah is screening on opening night of the Message Sticks Film Festival at the Sydney Opera House on May 7th, and will release in cinemas in Sydney the next day. Other capital cities in Australia will open on May 7th. Visit the Sydney Opera House and Message Sticks Film Festival website here. The Alice Springs premiere was a roaring success. 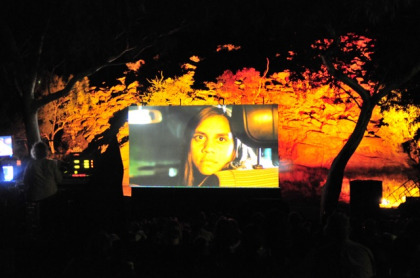 2,500 Alice Springs locals turned up to the Telegraph Station to watch the Sth East Metal Band and Desert Mulga Band tear up the stage, and see Samson & Delilah on the big outdoor screen. People parked up to 2kms away and walked to the screening. There was a minor traffic jam at the end of the night. Samson & Delilah won the Audience Award at the Adelaide Film Festival. Thank you!